By David Veselka on Nov 22, 2013 - 50 Comments. Clearly, there are a number of improvements that the next-generation version of Battlefield 4 offers over its current-generation predecessor; almost three times the player count, larger map sizes, increased visual fidelity, and even peripheral functionality. But perhaps the most jolting of differences is the two times increase in the amount of frames that you see during a second of play. 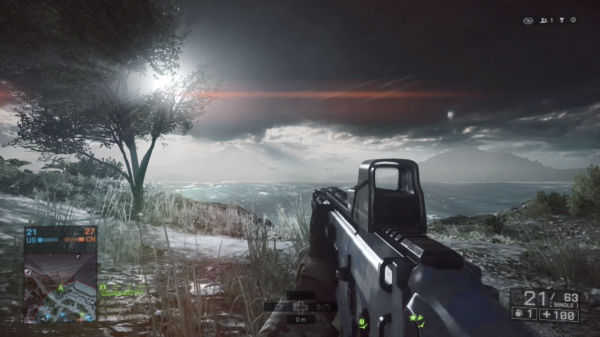 Battlefield 4 at 60 frames per second is a whole new world, coming from the 30 FPS limit that clouds the PlayStation 3 and Xbox 360. It’s much more pleasing to the eye and, frankly, it makes you a better player when you can clearly see your enemy and make out his movements much easier. Both the PlayStation 4 and Xbox One versions of Battlefield 4 offer the ability to use either the Motion Sensor or Kinect Camera, respectively, to track your head movements to allow you to lean and peak around corners, or free look while in a vehicle. The Xbox One version also supports voice commands. It may or may not be for you and is something you’ll have to play around with to determine if it’s worth it. Of course, both versions of Battlefield 4 benefit from the Battle Screen, a second screen function that acts as an enlarged mini map that you can use on either a separate monitor, laptop, or tablet device. I game with both a MacBook in front of me and an iPad beside me, so I was really able to get the most out of this feature and it was nice to have the freedom in choice. Visually, Battlefield 4 on the PlayStation 4 or Xbox One is comparable to a modern, mid-range PC. You certainly won’t be getting any ultra-level graphics, maybe even high-level, but the improvement is ten-fold over the previous generation versions. It goes without saying that PlayStation 4’s native 900p resolution display will offer an advantage over the Xbox One’s native 720p resolution display, but I really enjoyed the vibrant colors that the Xbox One version had to offer. I did, however, notice that the anti-aliasing still leaves much room for improvement, and that the draw distances, when it comes to loading in textures and sprites that represent grass or foliage, is shorter than I initially expected. Regardless, the lighting effects, shadow, sharp textures, and smooth 60 FPS gameplay is all there and is definitely something you don’t want to miss. Sadly, both versions suffer from game crashes a little more often than what I experienced on the Xbox 360. That said, improvements are being looked into for both the PlayStation 4 and Xbox One as we speak. 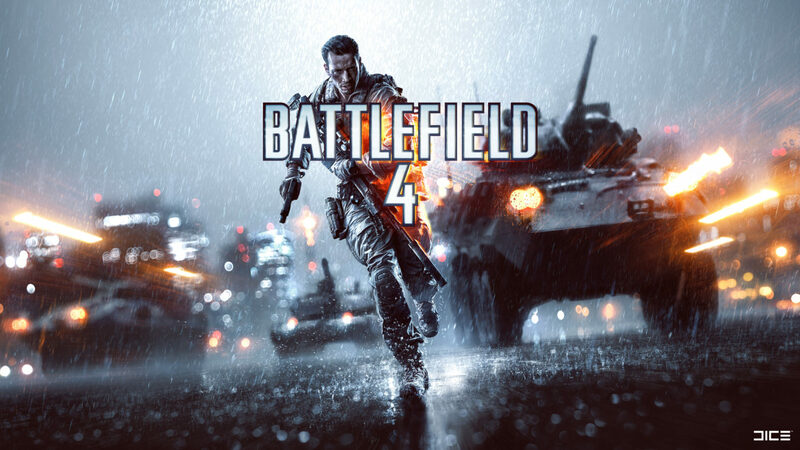 If you’re wondering why the score for Battlefield 4 remains at four and a half out of five stars, it is simply because the initial review was primarily based on what the PC version of Battlefield 4 has to offer, not to mention that Battlefield, at its core, has always been a PC title. That is clearly where developers DICE are most comfortable pushing the limits of first-person shooter gaming, and while the upgraded consoles give you everything you need to experience Battlefield as it was meant to be experienced, they will never quite hit the same benchmarks in graphical innovation. That said, it’s fantastic that the console audience can finally drink in the sights, sounds and “feels” of a true Battlefield game. Those looking to upgrade might want to pay attention to this official info page. There are plenty of cheap upgrade deals (roughly $10 USD plus tax) to take advantage of, though many of them are for a limited time only, so act quickly. Regardless of when you upgrade, transferring stats and content, including Premium content, is a seamless, one-time experience that you’ll be offered once you pop in your new disc or boot up your new digital version on your brand new console. Be sure to read up on our initial Battlefield 4 multiplayer review below! For those who’ve had a chance to try it out on either the PlayStation 4 or Xbox One, what are your thoughts so far? We want to hear from you in the comments.